Three photographs of the R.N.V.R. 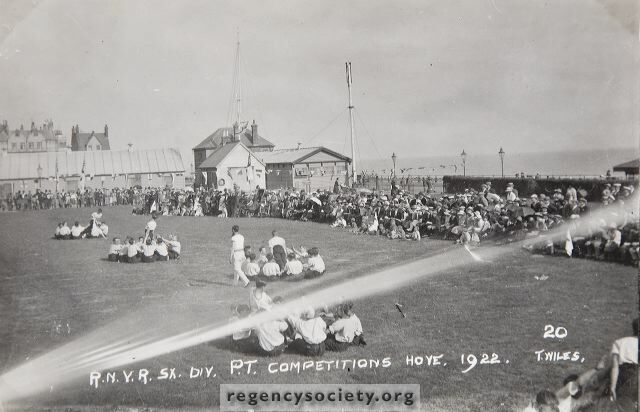 display, on a summer’s day in 1922, on the lawn, which still exists at the foot of Hove Street. Topographically, the scene has changed much since then.